Between Rizal and F.R. Castro, Laoag City, Ilocos Norte. Lots of trikes are in the street. 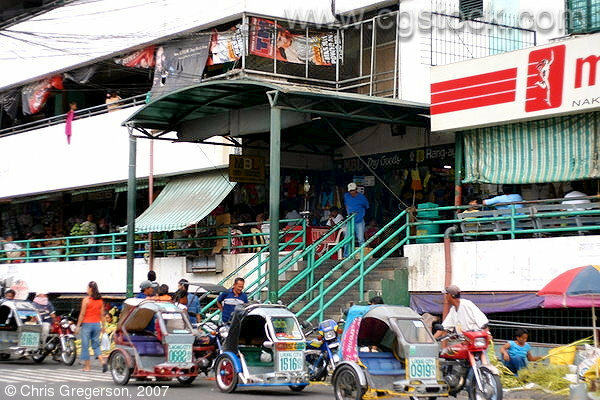 This multi-story building is filled with all kinds of vendors, including vegetables, textiles, and a wet market.